This issue of UnBound envisaged three sets of problems in thinking through the relationship between public space and memory. The first problem is disciplinary in nature, as space is traditionally perceived as the object of study of architects, geographers and archaeologists. Each approaches the space with a specific disciplinary focus. Memory on the other hand belongs to no particular disciplinary realm; rather, to multiple disciplines like psychology, literature and history and also to a range of academic fields such as oral history and memory studies. By bringing together two disparate areas like public space and memory, we wished to draw attention to public spaces and ask how memory is created – does the space create the memory or does memory bring into existence the space? What make spaces significant in collective memory? The articles in this volume move across disciplinary boundaries signalling the limitations of conventional academic approaches when tracing the relationship between public space and memory. Apart from that, our contributors too are drawn from different disciplinary backgrounds – from public history, history, architecture and built environment as well as art and film. The second set of problems we wished to draw attention to is the conventional tendencies within disciplines, especially history, to distrust memory as a source for understanding the past. Memory is too often and too easily identified as unreliable or classified as belonging solely to the past. As scholars working with oral history and memory studies have pointed out memories do not exist solely in the past, in fact, memories of times past are always constructed in the present. Moreover, a sense of the past shapes the present just as the present shapes the way the past is recounted. The inter-penetrability of time in memory gives it a capacity to turn backwards and forwards and has social as well as political implications. Not surprisingly, the articles in this issue reveal the ways in which public spaces and acts of memorialization replicate social, political and economic inequalities in the past and in the present. Finally, this issue raises questions about the kinds of resources we need to understand the troubled relationship between public space and memory. Traditional archives may not adequately help us here. So this issue asks what kind of archive would we need to arrive at such an understanding? Our contributors point towards an alternative archive with resources that are visual, cinematic, written, aural and oral – in short, a capacious archive that is not restricted to the predictable types of collections and not necessarily assembled by the agencies of the state. The multiple associations that public spaces have, the many meanings they generate for different people at different points in time, produce a range of archival material to which memory attaches. Alternative archives that include such diverse resources would also have the capacity to transform our sense of time and space and enable new insights to emerge about the relationship between memory and public spaces. The relationship between the past and present sometimes expresses itself in unexpected ways. For example, a plaque outside the Fort in Bengaluru marks it as the site of the Third Anglo-Mysore War of 1791. The plaque reads: “Through this breach the British assault was delivered 21 March 1791.” When the plaque was placed on the Fort wall more than two hundred years ago, it functioned as a marker of British victory against the Tiger of Mysore, as Tipu was called. The plaque sought to stir up British patriotic sentiments and pride in their strategic and military supremacy. In 1791, Tipu had lost the war; it would take eight more years for the British to vanquish the Tiger of Mysore and establish the Civil and Military station (later the Cantonment) within the Fort in Bangalore. Stories about Tipu Sultan and his legendary cruelty circulated widely across Britain during his lifetime and after his death and lent greater weight to British victory over a formidable enemy. 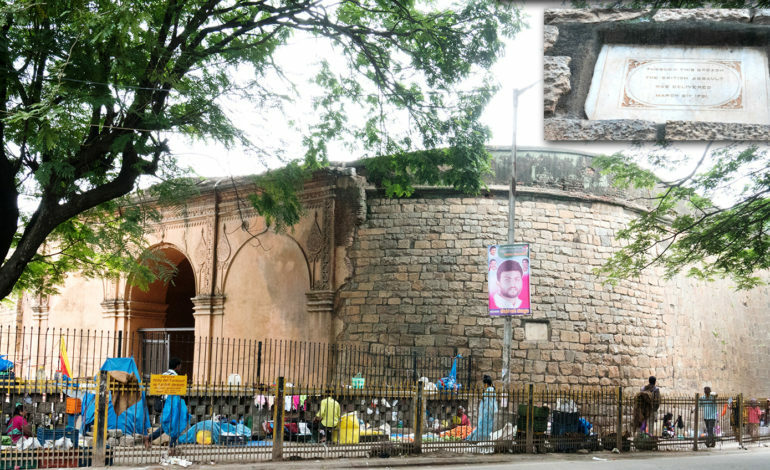 Today street vendors sit against the walls of the Fort with their backs to the dusty plaque and sell fruits, vegetables and small plastic items for household use. This busy area is diagonally across a Metro Station named after the Wodeyar king, Krishna Rajendra whose dynasty regained the throne of Mysore with British help after Tipu was killed during the Fourth Anglo Mysore war in 1799. How do we contextualise the memory of place when state agencies create monuments? David Dean’s article focuses on two monuments in Canada, the Never Forgotten National Memorial and the Memorial to the Victims of Communism. Demonstrating how ideological interventions and electoral politics play a significant role in reshaping Canada’s commemorative landscape, Dean offers us a critical understanding of why some public memorials are abandoned and others reconfigured in public memory. How have urban spaces undergone transformation in the post-apartheid context in South Africa? New legislations that did away with exclusionary laws together with rapid migration created new meanings of public space and new users of city centres. Debbie Whelan asks what do public spaces such as markets and commercial areas tell us about the conflicts inherent in diverse ideas of space adopted by different groups of people? How are these struggles marked by power, priorities of urban planning and ideologies of race? Focussing on trading stores in South Africa as a site of negotiation between aboriginal communities who do not find any reflection of their social or material culture there and ‘white settlers’, Whelan offers us ways of understanding politics and modes of social interaction. Public spaces might also hold non-monumental forms of memorialisation set up by marginalised groups that often clash with dominant forms of commemoration. How do we understand what such forms of remembrance mean? As an art practitioner and a cultural activist, Radhika Hettiarachchi provides us some answers through her practitioner’s notes. She looks at the creation of memorials in the aftermath of the civil war in Sri Lanka and questions the politics of public memorials. Who decides what gets represented? Is the representation symbolic of one side’s version of the event? And if it is so, then what does it do to the idea of memory and memory making? Hettiarachchi speaks about the significance of creating the herstoryarchive.org (2012-2014) and the Memorymap.lk (2015-2017), two websites that record ordinary people’s memories of war and violence and contest at multiple levels official representations of Sri Lanka’s recent history. Reviewing Smriti Srinivas’s Landscapes of Urban Memory: The Sacred and the Civic in India’s High-Tech City, 2001 and Ranjani Mazumdar’s Bombay Cinema: An Archive of the City, 2007) Archit Guha speculates on the nature of the archives of public space. Guha links the two postcolonial cities that the two monographs focus on and argues that public history interventions and oral history methodology might offer constructive ways of looking beyond traditional repositories and allow for non-linear understandings of public space to emerge. Together these articles, practice notes and the book review visit practices of commemoration and uses of public spaces in Canada, South Africa, Sri Lanka and India to ask who shapes public memory and what public spaces mean to those who live there and those who visit them and suggest new ways in which we might re-examine public space through the lens of memory. Paul Ashton and Paula Hamilton. “On not belonging: memorials and memory in Sydney.” Public History Review 9 (2001): 33. Pierre Nora, “Between Memory and History: Places of Memory.” Representations (1989): 7-24. Martha Norkunas, Monuments and Memory: History and Representation in Lowell, Massachusetts (Washington, D.C.: Smithsonian Institution Press, 2002), 184. For further information on the project, refer to: Indira Chowdhury, “‘Looking the Tiger in the Eye’: Oral History, Heritage Sites and Public Culture.” A Companion to Public History, ed. David M. Dean (Hoboken, NJ: Wiley Blackwell, 2018). Dolores Hayden, The Power of Place: Urban Landscapes as Public History, Cambridge, MA: MIT Press, 1997), 227.